The Honda Accord is like the Labrador retriever of family sedans. Never fussy and always eager to please, Honda's stalwart is now in its 9th generation, arriving as a sedan and coupe with a variety of fuel-efficient powertrains. It may not have the striking looks or all the features of some competitors, but the Accord remains brilliant in its balance. I would say the air-conditioning in the back isn't very good. My car is really reliable it saves a lot of gas and it's very comfortable. I like how it looks the color makes it look like a different car depending on if its daytime or night time. I love the air conditioning in the front it stays really cool, the air-conditioning in back seems a little suffocated because all the air is in the front and I don't like that because my baby gets really hot when has back there, when I sit in the back I feel like it doesn't get much air flow. Also another thing that bothers me is when I put my rear windows down it makes a loud noise in the car and it hurts your ears and the car feels like it gets shaky, which really bothers me because I like having my windows down. Overall the car actually drives really smooth and I have never had any problems with anything that has to do with its engine. I also like that my car looks really elegant I love that it's bigger than a Civic. Drives amazingly and incredibly comfortable with plenty of leg room. 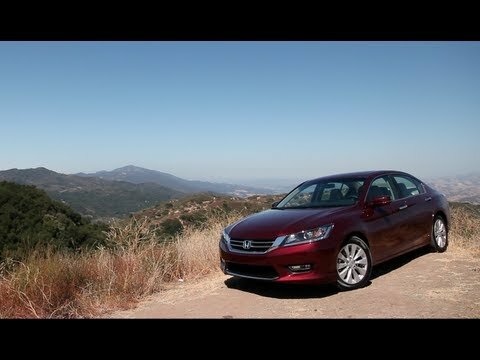 The performance on the Honda Accord is absolutely great. It is smooth on the road, very little cabin noise, the engine is fairly quiet. It has a very nice look on the outside. I love the rear camera feature, Bluetooth capability and the overall look in the inside. The Accord is also quite roomy you can really sit comfortably. Overall great leg room. The seats are quite comfortable and feel like they are hugging you when you sit. This car performs is great. Drive is smooth, haven't had any problems with it. The only thing that can be a little complicated is the tire installation making sure that its taken to a place where they work with the air sensoring, but this is quite minimal. Its a car I would highly consider buying again and even would recommend. Technological advances of the motor vehicle industry! Lane assist, backup camera. I would have to say my most favorite part about this car is the driver assist features. The lane assist is my favorite out of the two, when you are driving outside of your marked lane, and alert goes off to notify you. Lastly the backup assist is the blind spot cure, the car detects and sees another person before you even have a chance too. The accuracy of the back up cam is spot on as well, the lines on the cam indicate how far you away you are from backing up into another car or object. 10/10 would recommend this car especially to someone who is new to driving, all this new technology will advance the driving world and hopefully make for less accidents by taking away the human error from operating a motor vehicle. Honda (American Honda Motor Co.) is recalling certain 2013-2016 Honda Accord vehicles. The case for the battery sensor, part of the battery management system, may allow water to get in, potentially causing an electrical short. Honda will notify owners, and dealers will replace the sensor, free of charge. Remedy parts are currently unavailable. Dealers will perform an interim remedy of applying adhesive to the case to prevent water intrusion. Interim notices are expected to be mailed on July 31, 2017. Owners will need to have the permanent remedy completed once they receive a second notice. Owners may contact American Honda Customer Support Center at 1-888-234-2138. Honda's number for this recall is KG0.